Well it finally happened! In September 2017 we had our first 5-figure income month from our online income sources. Our total earnings were $10,533.28 from our stock trading websites, Amazon niche website and this financial blog. Are you interested in starting a blog? Check out our tutorial that will help you start a blog of your own for only $3.49 per month (tiny cost for blog hosting compared to the potential profits!). If you sign up through my Bluehost link you will also get a free blog domain name and the lowest possible price for hosting. Be sure to check out our recommendations page for tons of exceptionally useful tools that we have used to make money online. I love them all and I am sure you will as well! 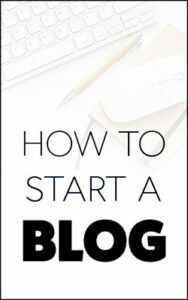 Start your own blog if you haven’t already (Free tutorial here). Inspire you to keep working on a blog or website that you have started but haven’t made much money from yet. We truly believe that anyone can run an online business and make significant income online! If you’re not earning money through affiliate marketing, then you are leaving money on the table! 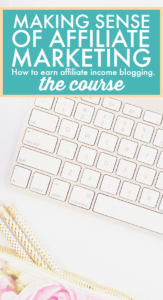 Looking to increase your blogging income? Check out Making Sense of Affiliate Marketing! Here is an exact breakdown of our affiliate marketing income for the month of September. So there it is! Finally after 4 years of working diligently developing passive online income, we made it to our first goal of making over $10k+ from our websites. It feels very surreal but we are extremely excited for what the future holds. 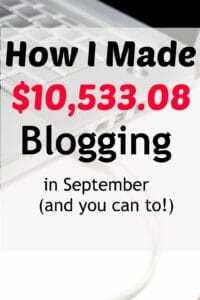 If you can make $1000 from a blog, you can make $10,000. If you can make $10,000, then you can make $100,000. The majority of our affiliate income was from a stock trading affiliate program. This program made us $10,207 in affiliate commission in September 2017. You can see a screenshot below of the commissions from this month. This particular product is so valuable and such an easy sell, that we prefer to keep the exact stock trading program private for the time being. However, we plan to reveal the full strategy and exact affiliate programs in the future. If you would like to be kept updated when we release this very valuable information, please follow me on Pinterest. You can also subscribe to this blog for future updates (the subscription form is in the sidebar). Although we are not ready to disclose the affiliate program we would like to explain why it has been so lucrative for us and what we think you should look for in an affiliate program. This particular program pays us 50% commission on some very high ticket sales – this means that we receive large commissions ($119 – $1200) per sale. To us this is crucial – it is no harder to sell a $3000 product than a $3 product. So this is our first bit of advice for new affiliate marketers! Try to promote more expensive, higher commission products. To put this into perspective, we only made about 12 sales to earn the $10k. The affiliate product that you promote MUST be exceptionally valuable to the customer. It helps if there are several products offered by the vendor to give the customer the maximum choice. We often get commissions from multiple products that are purchased over time by the customer. This is likely because the products offered such great value for money that the customers keep purchasing! You also want to look for products that give recurring commissions every month so that a customer is worth more than just a one time pay out – potentially they will stay as a monthly paying customer for years! Finally, they say that ‘the money is in the email list’. Well that is true but it doesn’t have to be YOUR email list. I attribute our affiliate marketing success with our main money making affiliate program to the fact that we drive traffic to opt-in to the vendors free email list. The vendor then does the email marketing part – which they are experts at. They are so good at converting email list opt-ins into sales that it would be silly for us to try to do that part. We calculated that for every customer that enters their email address, we make an average of $11 from them. The vendor does not pay for opt-ins but I know when I see ten new email opt-ins, that we will likely make $100 or more from these customers. This keeps us motivated because there is often a delay between a customer opt-in and an affiliate sale. The vendor runs great discount sales and promotes many fantastic stock trading programs. They offer such great value for money that the products are really no-brainers. To promote them we write reviews on how much money we have made from the products (honest reviews are great sales funnels!) and encourage others to try the free email stock alerts by putting in their email address. The vendor does the rest! Another success in September 2017 was that we managed to introduce a new stream of affiliate income – CPA marketing of paid survey sites on this financial blog. We only earned $51 but that was in the space of 2 weeks. I have no doubt that now that I have seen the proof-of-principle, we will be able to grow this new trickle of income into a few thousand dollars per month. We discovered this awesome affiliate marketing strategy from a course that we bought last month called Making Sense of Affiliate Marketing by Michelle Schroeder-Gardner (Read our full review of this brilliant course). Michelle regularly makes more than $100k per month with her affiliate marketing strategies and after taking her course I can see why! Honestly, the private Facebook page that you get access to with the course is worth the cost of the entire course alone! Check out this article where I go into the details of exactly how I ignited this new CPA income stream. 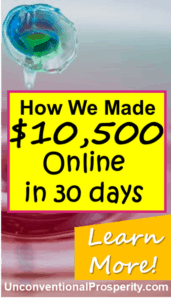 What is most encouraging about this new strategy is that it is producing income from visitors to this blog very fast. Within a couple of days of having the page up, we were seeing leads being generated for the companies and affiliate commissions starting to come in. We are very new to Pinterest, but so far I am very impressed with it and how quickly we have been able to get views to this blog. We have started numerous other websites that rely on google rankings and Twitter to drive traffic. Pinterest has blown our existing traffic generation strategy out of the water! Two months ago we had no visitors to this blog and less than 10 followers on Pinterest. In September, we had over 200 followers on Pinterest and over 500 views of the blog from Pinterest. It is still early days for us using Pinterest but it has impressed us so far! We have only had about 10 views to the blog from google – clearly Pinterest is the way to go! In September, we took a Pinterest strategy course that has helped us get of the ground with this social media platform. We highly recommend that you buy this ebook ($32) – Pinteresting Strategies by Carly Campbell. This Pinterest ebook is the BEST value for money Pinterest course (80 pages) that we have found and it is an excellent companion course to the Making Sense of Affiliate Marketing Course. We loved it! Carly is very down to earth and her Pinterest strategy is amazing! She only pins manually and has gone from zero to 200k page views from Pinterest to her blog per month. We have seen amazing results on our own Pinterest account by implementing her Pinterest strategy! We highly recommended Carlys course if you want to succeed on Pinterest. It has taken us years to get to our first goal of $10,000 per month and it feels amazing! I highly encourage everyone to take back their financial freedom by starting a blog or online income stream ASAP. Check out my tutorial that will help you start a blog of your own for only $3.49 per month (tiny cost for blog hosting compared to the potential profits!). Don’t hesitate – get started making some money online today!